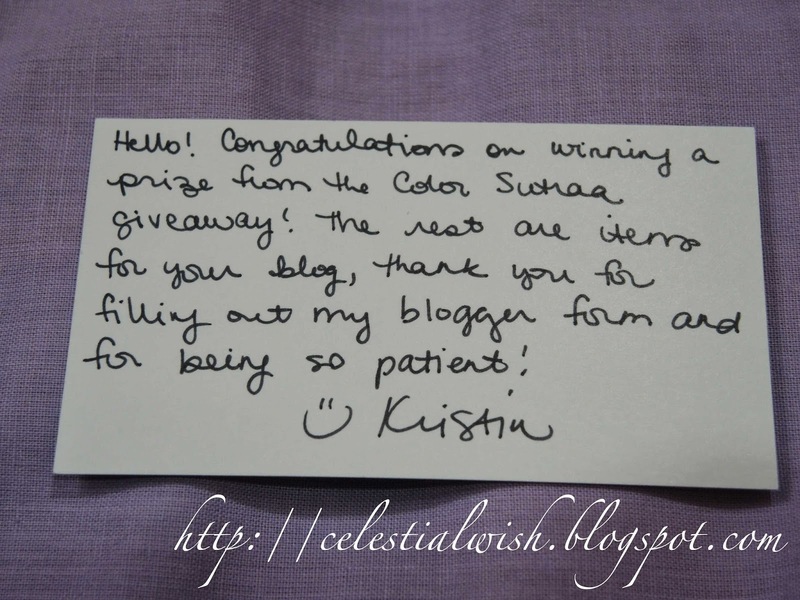 If you saw my instagram, you would have known that I won a giveaway held by Colorsutraa! It was her Day 11 giveaway! I am rather lucky when I enter Colorsutraa's giveaway! Previously, I won her 1500 Likes Giveaway! 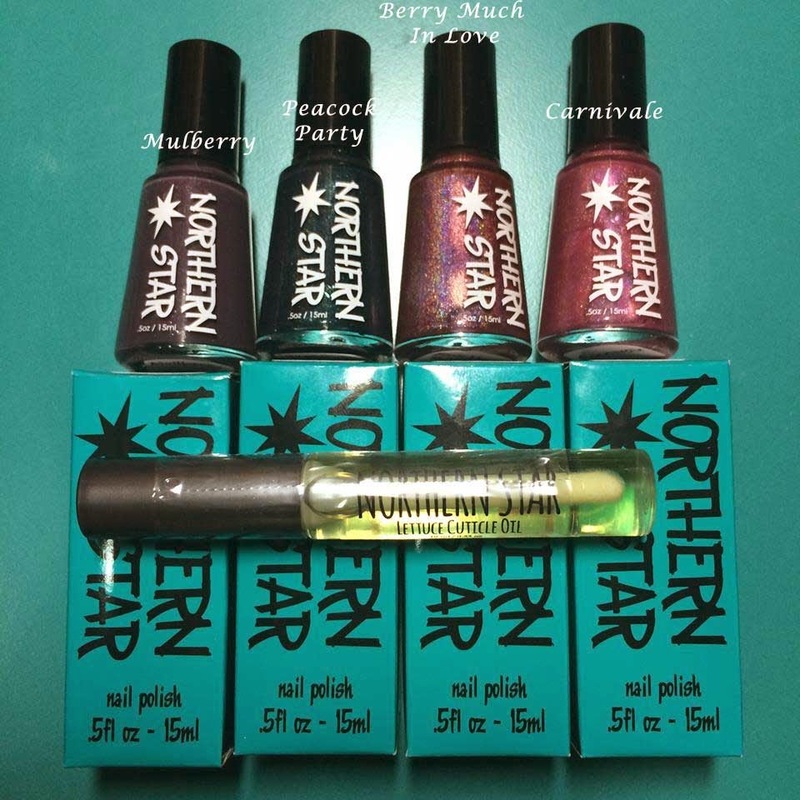 Kirstin, the maker of Northern Star Polish did not contacted me prior receiving the package at home! This is a blend between a dark wine red and pink! Not to mention to extra strong holographic in this polish! Just look at how its shines! 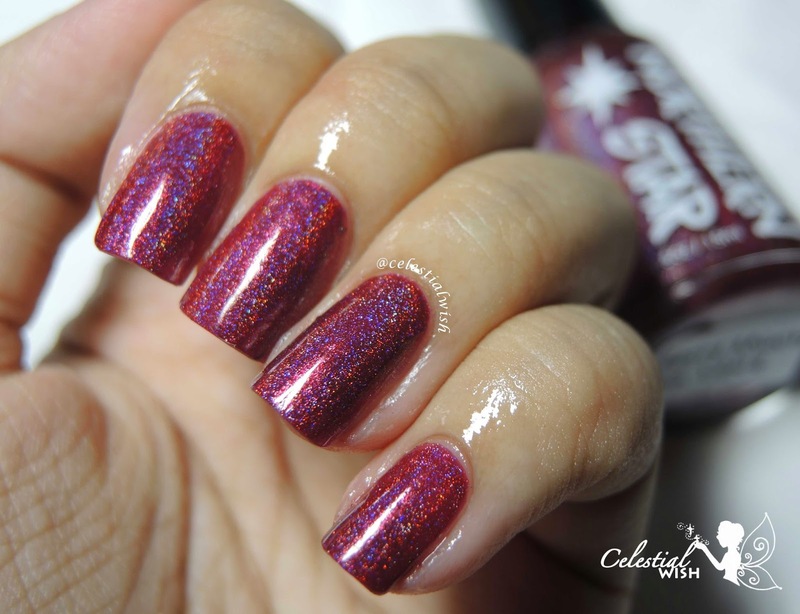 Berry Much In Love is a 4-Free and is a vegan & cruelty-free polish. This means that the polish contains NO Formaldehyde, NO Dibutyl Phthalate (DBO), NO Toulene, NO Formaldehyde-Resin. :D Isn't it just great! I applied, 1 coat of Duri Rejuvocate as a base coat and 2 coats of Northern Star Polish's Berry Much In Love! I didn't apply any topcoat as I was afraid that it would dull the holographic in the polish! I felt that the formula was a bit on the thick side despite it being my first time applying. I prefer polishes which are slightly more watery as I find it quite a hassle to keep adding thinner if a polish thickens up too fast. However, I know of many ladies out there who prefer polishes with a thicker consistency! It is all up to your personal preference. This is just my two-cents worth. Despite the formula, I really loved this color! Especially since it has such a strong linear holographic finish! This color would be appropriate for any party events! It bring out the shine in you and let's you dazzle in the crowd! :D I honestly would not mind taking the trouble to add thinner to them when it thickens. It's a hard to resist color! 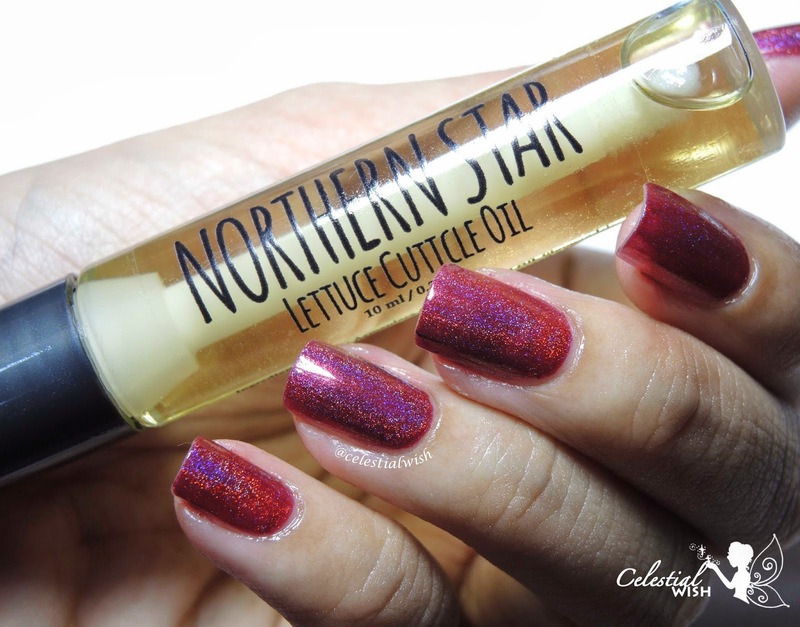 Next, we have "Lettuce Cuticle Oil" that was recently launched in her store! You may have seen some oily appearence on the fingers for "Berry Much In Love", I was using this very product to test it out:) As quoted from her store, "My formula is free from products derived from nuts, soy, wheat, or animals but is still as nourishing & silky." 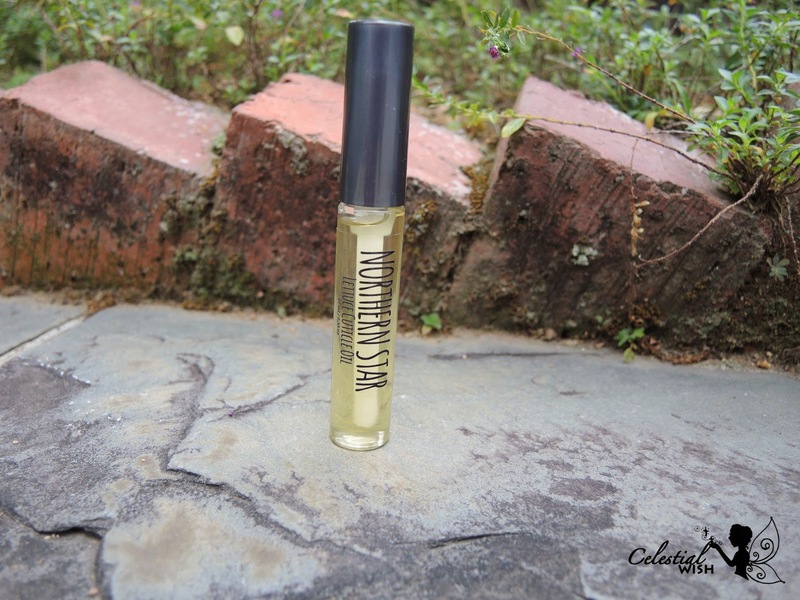 It comes in a 10ml bottle with a doe foot applicator which allows us to have oily-free fingers when applying! The brush on the doe foot applicator is really soft! On each application, I can apply it on all 5 fingers in a go! Its so economical friendly! 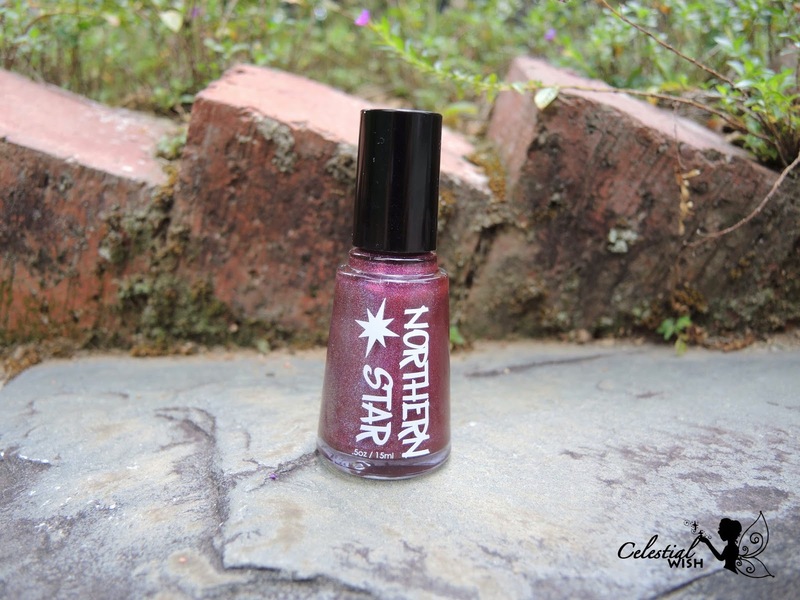 If you are seeing this, do note that Northern Star Polish is offering up to 20% off (no discount code needed) up till 31st March 2014. This is part of her 2nd Anniversary Sale! The prices of her product has all been marked down :) So what are you waiting for! Start shopping! A cuticle oil was previously $3 USD, now it is only $2.40 USD ($3.12 SGD) and a polish was previously $8.50 USD and now it is only $6.80 USD ($8.85 SGD)! Go grab them now! 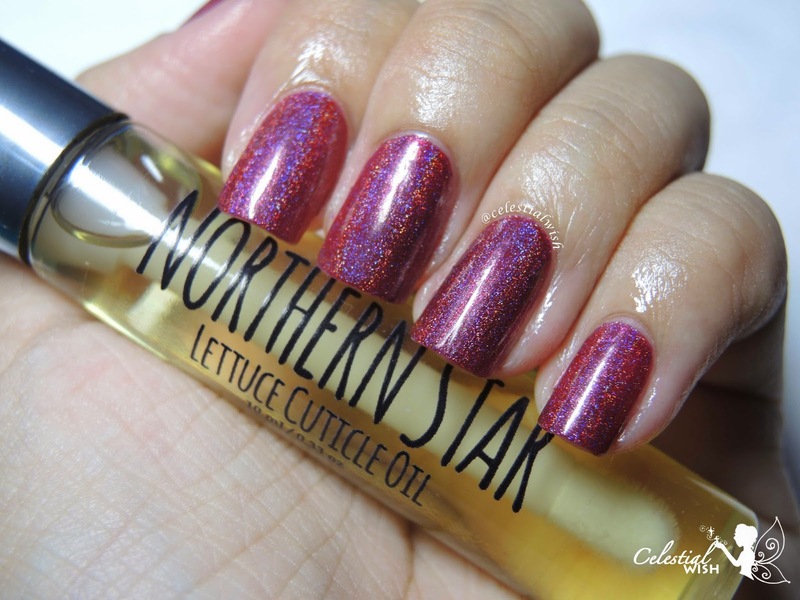 Stay tuned tomorrow for my review of the other 3 Northern Star Polishes!